Obituary for Roland Julius Kieffer | Readshaw Funeral Home, Inc.
Happily married for 52 years to his high school sweet heart Maryalice (Schimmel) Keiffer. Father of Rhonda (Steve) Colucci and Kimberly (Harry King) Kieffer. 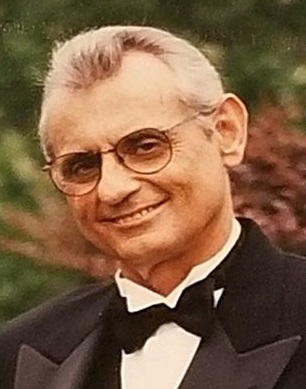 Loving Grandfather of Kristian and Devin Colucci and Ally and Tyler King. Roland loved and adored his grandchildren and his family. Family and friends received Tuesday from 2-4 PM and 6-8 PM at the Readshaw Funeral Home, Inc. 1503 Brownsville Road, Carrick. Where a Blessing Service will be held Wednesday at 10:00 AM. In lieu of flowers memorial contributions may be made to the Fresenuis Kidney Care at 1401 Forbes Ave #250 Pittsburgh, PA 15219 or to the Starzl Transplantation Institute 3459 Fifth Ave Pittsburgh PA 15213.